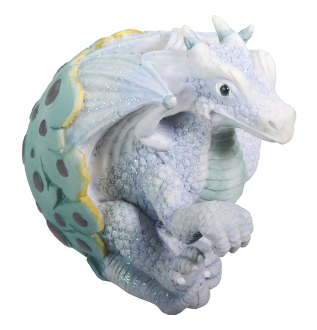 A curious little pale blue dragon, looking for a home! Hand painted acrylic resin. L: 3.5" x W: 2.25" x H: 2.75"